Celebrating 16 years on the web in 2012! Click on the fish to visit the official Digital Sac-a'-Lait Productions website! From the beginning of recorded music history to the present there are two variables that have not changed when it comes to becoming a successful recording artist- the song itself and the professional who records and arranges the song. First, what has changed? The equipment used to capture sound has come a long way from direct-to-vinyl (20's - early 50's), then magnetic tape (50's - present), and now the accurate digital recorders available to everyone. The "consumer quality" digital workstations available for less than $1K are technically superior to the 1 and 2 inch tape of the 60's and 70's (signal to noise ratio, crosstalk, frequency response, dynamic range, etc). There are "recording studios" popping up on everyone's block nowadays. Therefore the "playing field" for all us wanting to make a record and thus become stars has been substantially shortened!... ...or has it? Considering Elvis, the Beatles, and Frank Sinatra, (who all made multi-millions of dollars) recorded on technically inferior gear to the DAW (Digital Audio Workstation) in some persons bedroom today, speaks volumes on the equipment-to-hit record logic. If the "gear" were the answer to all of our "becoming a star" woes, then we'd all be superstars today! To be frank, the gear ISN'T the answer- nor was it ever the answer! The reason all of these individuals or bands became superstars is becoming more clear (from a technical perspective) as the equipment evolves: These artists wrote great songs (or had great songwriters working for them) and had talented individuals assisting them to get these songs recorded. (I'm certainly not discounting in any way the talent of the stars themselves as a critical factor in their success- that hasn't changed either). However, almost without exception, all of the greatest artists of all time used other professionals to assist them in creating their art. In the early days of Rock and Roll there were a hand full of successful studios producing the majority of the hits. The fact that fewer studios produced more hits wasn't because the recording gear was extremely rare or exorbitantly expensive. It has always been the PERSON behind the gear that made the difference. 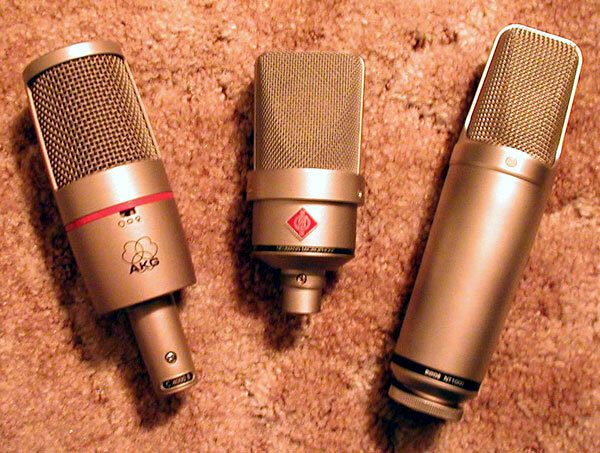 As the equipment evolved and became more affordable, more talent was attracted to the recording studio. Although there are recording studios everywhere today, it still is fact that only a small fraction of these are producing the majority of the hits. Consider this analogy: One can buy the best carpenter tools available but it doesn't automatically mean one can build a Sistine Chapel. The Producer/Arranger... A record producer's role is to guide the artist through the process of creating. "Guide" is a key word as most producers listen and key off of the artist's ideas. The producer also lends the "critical ear" to the process to make certain everything going on the record is technically right. (It's amazing how critical this is to a successful record yet how often it is ignored). Almost every major recording star of the past and the present used a producer and/or arranger. Why? Because record companies are businesses and want their products to be as perfect and shiny as (for example) a new car that you buy. While this may sound like an "expensive" option to some, a few things must be considered. If your motive in the creation/recording process is to record a demo ("demo" is defined as "non-critical listening"), then recording yourself isn't a bad idea. However, if you're looking to compete for radio airplay, pitch songs to record companies, or to sell your records, it is a better (and ultimately a more cost-effective) idea to get professional assistance. Consulting with a professional who has worked in the music industry, knows the music business, and is "musical" is the best place to start. Digital Sac-a-Lait Productions is a world-class full-service music production business located in Houma, Louisiana. It is owned and operated by professional musician, recording engineer, and producer Pershing Wells. Our services go beyond a typical recording studio. We are “Song Sculptors.” Whether your song is only an idea or whether it’s real but requires a professional arrangement we can help you. We take your songs from conception to completion. The finished product is worthy of radio airplay anywhere. Our production work has been called “…a stunning musical portrait” by Offbeat Magazine in New Orleans. The Times Picayune voted one of our album productions (“Been Down that Muddy Road” by Joe Barry) one of the top 30 regional albums of 2003. The Baltimore Sun (yes, in Maryland) has called our work “…an engineering marvel.” Seattle, Washington based e-magazine No Depression voted our work one of the top twenty albums of 2003! We have contracted work for record and publishing companies in New York. However, our primary goal is to offer affordable yet classy song arrangement, production, and recording to anyone seriously interested in making an album or to shop songs to record or publishing companies. We do not do “demos” (see definition above) and we do not apologize for it. All of our work is worthy of album/film production. Most of our clients own or use modern digital recording equipment to initially record their songs. They come to us because they are serious about getting their songs to a level good enough for commercial airplay and/or to pitch to record/publishing companies. They choose us because we deliver these kinds of results. All of our clients get world-class results from our services. All state the finished product is beyond what they expected. Further, almost all of our clients come back to us for additional projects. Prices and references are available upon request.